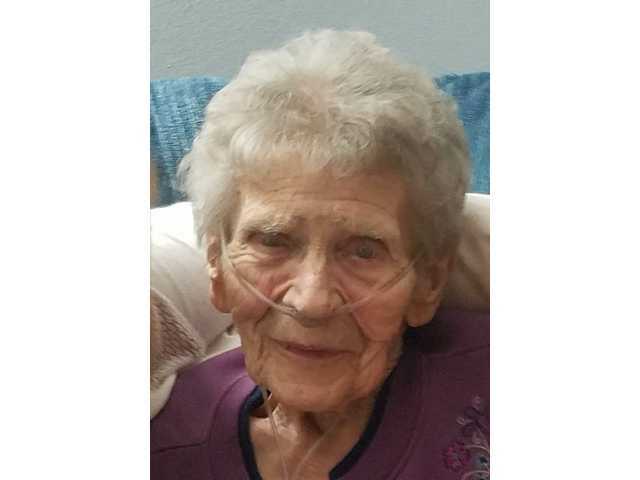 POSTED October 2, 2018 2:37 p.m.
Mary M. Horner, 93, of Potosi, passed away Sunday, Sept. 23, 2018 at Orchard Manor Nursing Home in Lancaster. A Mass of Christian Burial will be held at 10 a.m. on Saturday, Sept. 29, at St. Thomas Catholic Church in Potosi with Fr. Richard Leffler officiating. Burial will be in St. Thomas Cemetery. Family and friends may call Friday, Sept. 28 from 4 p.m. to 7 p.m. at the Martin Schwartz Funeral Home & Crematory in Potosi, where a rosary will be prayed at 3:45 p.m. Visitation will also be held on Saturday from 9 a.m. until time of services at the church. In lieu of plants and flowers, a Mary M. Horner Memorial Fund had been established. Martin Schwartz Funeral Home & Crematory in Potosi is entrusted with her services.